I need a report to provide the number of times a User logged into Salesforce in the last 30 days. Is there a report currently available do gather this information? The field you want to summarize is located in the User Login History section: Login Date. There are a few things that you want to be careful of, if you only want the count of times they Logged into Salesforce.com then you want to filter the User Login History.ClientType to count only Browser and Mobile logins so that you don't count MS-Outook synchronization or other clients. Yes, create new report and select "adminstrative report" and select user. The User Login History suggestion worked perfectly. Thank you. Yes,. there are a few things that you need to be careful of when reporting on the login history data. I'd like to be able to report a TRUE last login date that doesn't include Outlook synchronizations as a login -- using a Salesforce report, instead of exporting the data. Don't think this is possible, but let me know if I'm wrong. The other report I'd like to be able to produce is the # of days users have logged within a week, instead of the # of total logins. Someone who logs in 5 times in one day, is different from someone who logged in once every day for 5 days. Through some trickery, I have figured out a way to show this visually in a graph, but not found a way to get an actual count. Every few months (for the last couple of years) I've returned to this challenge, but still have not found a solution. Can anyone figured out a way to do this? To limit the report to "True Logins" you need to filter the "User Login History.ClientType" to return only Browser and Mobile logins. I've seen analytics used to capture that a user has logged in at least once each business day. The reports are run in the evening and the login data is captured on a sepate custom object. Then you can build dashboards that reflect the users true login behavior. I tried to use this report. As as admin there are not issues and it looks great, but if i want our VP sales to see this report i need to give him access to 'manage users', otherwise he sees only the last login date. Can users run this report with being able to manage users?? That happened to me before --- I shared the report to a manager but he could not see the details. So I guess user needs "manager user" permission to see details. Maybe you could submit an idea. I guys, create a Report or Dashboard and set the Running User to someone who has Admin (Manage Users) permissions, and share the report with the Manager. That should allow them to see what they need to see in the Report (Login History) without giving away the keys to the store. @SteveMo: Can you clarify by sharing? Should I just share via scheduling the report to be emailed and forward to users or can this be done via personal group or public group? Yeah, that's it. Set yourself up as the Running User, schedule the report and add the non-Admin users to the distribution list. Once again you have guided me onto the correct CRM path! No problem @FrancisD, you owe me a beer! Can I filter the report to show only users who have/have not signed in >5 times in the last three months? @Steve Molis There is an issue with using this type of report I have found. Currently (as of 10/28/2013 and earlier) any 'Automatic' sync of any mobile app or Salesforce for Outlook (have not tested connect for outlook) will register as a 'Browser' login instead of having the correct client type. you will see the correct client type when you manually initiate a sync from those devices or on your first sync but the automatic connections register the same as 'browser log ins' in reporting and Dashboards. In order to get correct data on those you need to export the login history with the data loader and compare the application field. This field is available to the API but not reporting. This was brought to my attention when some of my users had well over 1k logins per month on the standard Salesforce Labs adoption dashboard. It really isnt feasable that our users would have been logging into the browser that often so I pulled the data manually and found the issue. This was reported to Salesforce support and they have logged it as a bug. We are currently going through the exercise of creating a trigger to fire each time someone logs in so we can populate the last login date/time along with the actual applicaiton type to a custom object so we can get proper reporting in the app. We're trying to create a report to capture the number of days in a week that the users have logged in, NOT the number of times overall they have logged in by day. Right now, I'm doing some manual calculations in excel to translate # of times in a day, to # of days in a week logged in. Has anyone been able to automate this in Salesforce? A Dashboard Component may be created to show how many days a User has logged in. You'll need to create a Formula Filed with number output on the User Object with a value of 1. Replace the Record Count in the Report with this Field and summarize it. Ray -Great info! Its hard to see the report detail due to the size - Can you elaborate or provide a screenshot of the report formula & how you visualized it? I am simliarly trying to capture the # days a user has logged in at least once - then, I need to compare to our entire user base to find out the % of users who logged in at least once per day in a given period (on average) to the # active users. I can sum the report by the day and the user, so I can see if the user logged in at least once, but I am not sure how to summarize the total (without using excel of course) and then create a DB to illustrate the trend. Sorry if this is a stupid question, but what value shoud the UserLogInHistory.ClientType equal to reflect log-in's via a web browser OR SSO? I used below criteria but not sure what the difference is between Browser and SFDC Website - I believe OAUTH is the SOO- can anyone validate? Login Leaderboard: Client Type equals Browser,Wireless Clear AND Login Status equals Success Clear AND User Type equals Standard Clear I created a Formula Field with ‘1’ in the formula. I created a User Matrix Report with the above criteria with the Full Name on the Left and the Login Date/Time Field at the top. I added the Formula Field to the center and summarized it. I then created a stacked horizontal bar chart with the Y axis as the Full Name and the X as the Sum f the formula field and grouped the data by the Login Date/Time Field. I put this in the Dashboard using the chart from the Report. Management loves it! Ray Rudd Salesforce Administrator Business Software Inc. Brilliant! So to confirm, the formula field is on the report correct (vs user record)? Can you provide the formula to me? I am not sure I am doing it right. The Formula Field is on the User Record and is summarized in the Report. Create the Formula Field on Users with ‘1’ in the Formula box. This will output a 1, which is used in the Report. I'm facing the same problem and I tried to follow Steve solution to check only Browser and mobile for Client Types. The problem is that I don't have any mobile Client type in my list. I only see, "Remote Access Mobile Consumer", is that the client type used by Salesforce1 Application ? I think your answer needs to be updated since Salesforce1 has been released. The Client Type for Salesforce1 is oAuth and it is now impossible to tell the difference between Salesforce1 oAuth logins and any other oAuths we may have in our org. Plus, oAuth isn't as self explanatory as mobile or Salesforce1 would be. I am using the following filters: Login Status = Success AND Client Type = Browser, Wireless. Users are technically always logged in to the Salesforce1 app, and I don't believe this filter shows when the user simply opens the app but doesn't have to enter their password to 'login'. Is this the oAuth issue everyone is running into? 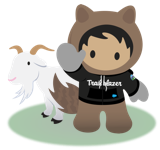 I want to see when a user is viewing Salesforce whether it be via browser or app, but not when using any kind of integration tool. Is this possible to break out? Sorry if I've missed answer above but running the user report, summarising by user and putting date field for last 60 days give me details on user's number of logins in last 60 days with dates, which is great. But I also wanted to include people who haven't logged on in last 60 days (record count 0). Is there a way I can do this? I would think that you could utilize filters and filter logic. Login Date not equal to last 60 days AND Login Date equal to last 60 days. Has anyone figured out how to capture the Salesforce1 logins now that OAuth show more than just Salesforce1 logins? I also would like to know the answer to the above question - I want to do a report showing the number of times each user has logged in over the month, but cant get the report to show the correct data. I want it to show the number of browser logins, but also the number of salesforce1 logins, so that I dont eliminate the sales reps out on the road. Can anyone advise? Everyone has the chatter desktop which automatically starts when they open their coputer, so I dont want to show chatter usage, just the actual logins. TIA! We have also been trying to report to show users with true browser logins v Salesforce for Outlook logins. Because SFO uses IE, we are picking up an IE browser login each time SFO does a sync. We get some users showing 500+ logins each day which we know is not correct. When I've raised this to Salesforce as an issue, I have been told that the system is working as designed but I can upvote these Ideas and something may happen to fix the issue. It seems my report is showing the sync times for each user for client type OAuth. Browser is reporting correct. I am trying to get the percentage of each users loggin & then use a funnel chart to view. Client Type: Browser & OAuth only. Can someone let me know how to get actual data & filter out the Sync replications. I have read the string here & still not clear on getting a percentage of users loggins that is accurate. Any help would be great.